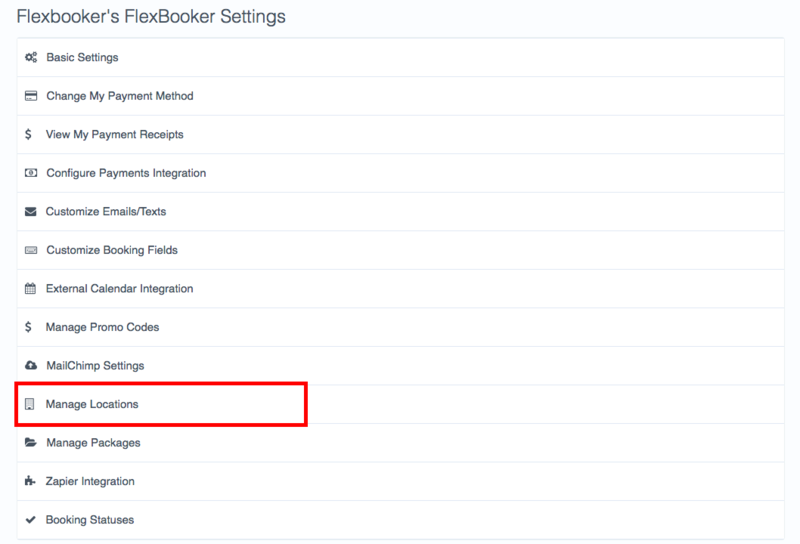 If you have multiple different locations, then FlexBooker can support them all from a single account! This will display the locations management page. Since you don't have multiple locations set up currently, you will just see the button to add our first location. This will guide you through the process of adding both the initial location and an additional one.